I have been a member of the Corvallis Chamber for awhile and just love going to Greeters. Every week, a bunch of business owners meet at someone's business for coffee and networking. I enjoy the open, friendly atmosphere and have gotten to know some really nice people there. Louise-Annette Burgess, a very dedicated Mary Kay rep, has been a very faithful attendee at these functions right up to her due date. Baby Emma decided to make her debut into this world on Sunday so I have a feeling we won't be seeing Louise-Annette as much at Greeters! These images were done a week ago today. 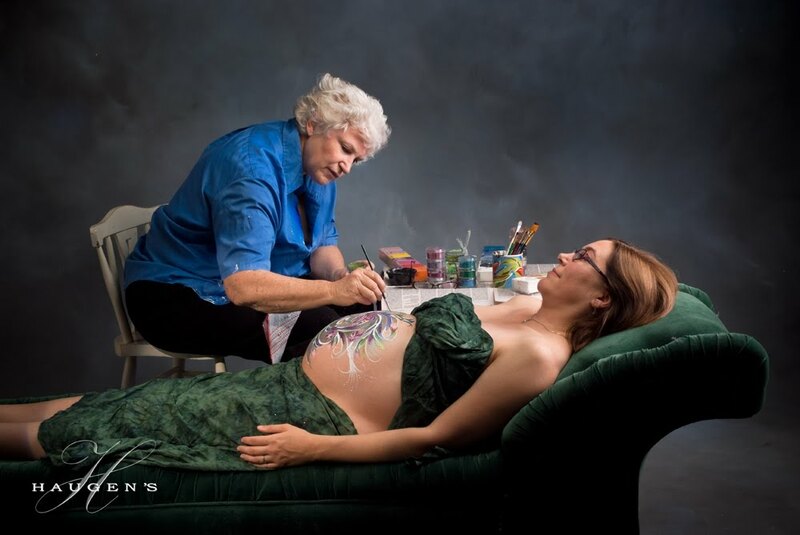 At last week's Greeters, Louise-Annette introduced me to Ananda Elyse Reeves who, in addition to teaching and Life Coaching, paints pregnant tummies! 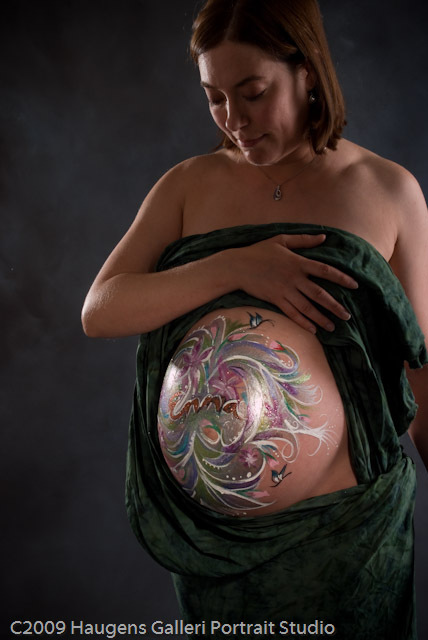 Photographer of expectant moms and painter of expectant moms is a natural fit, right? And gee, here was a very pregnant mama right before us. 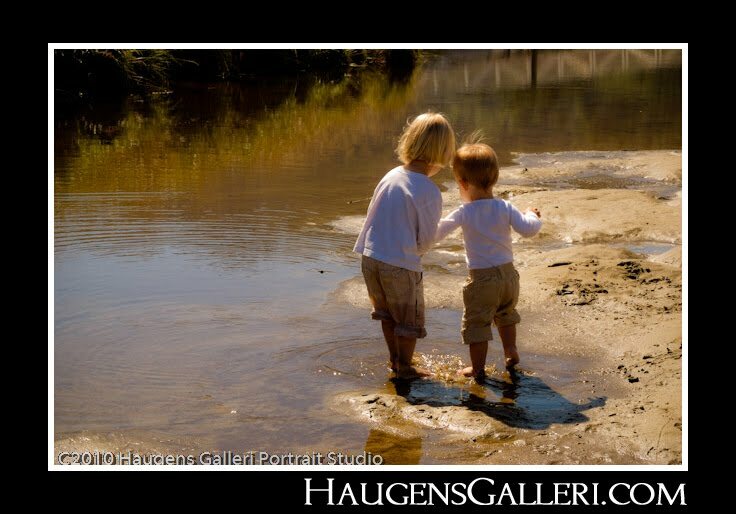 A painting/photography session was meant to be! Since Louise-Annette's baby, Emma, was due on the scene at any moment, we had to move quickly. That very afternoon, Ananda and Louise-Annette came into our studio in Monmouth and we did these awesome images. When we were done, the studio was very glittery! Planning a Family Portrait? Choosing the right clothing is key. 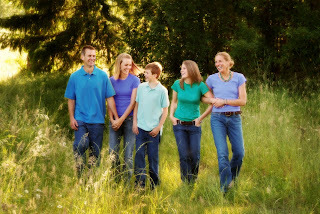 There are no hard and fast rules when it comes to clothing for your portrait but planning does make a huge difference. 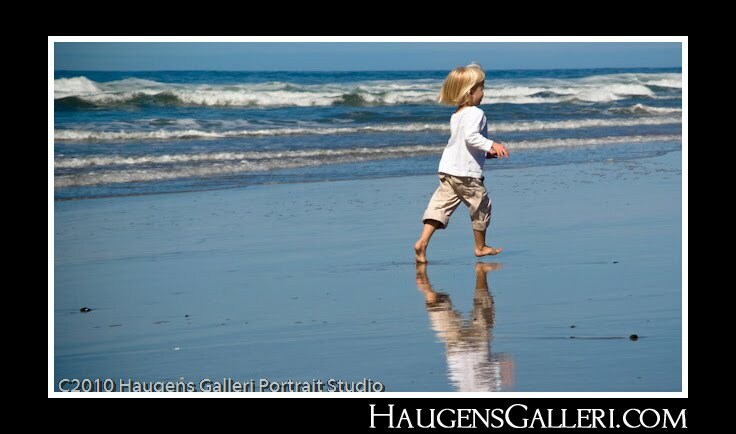 The goal is to have an artful image on your wall. We want the clothing you are wearing to enhance the image, not distract from it. Usually, the goal is to keep the clothing simple so that the attention goes to the faces and the relationship between the people in the portrait, not the eye catching new outfit. • Put everyone in white shirts and jeans. 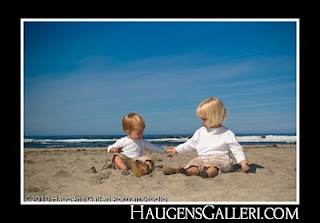 It is easy and works really well at the beach or with light backgrounds. • Swap out the white shirts for black shirts or sweaters. This looks great with a medium to darker background and it is true, black is slimming! • Dress everyone in one family of colors. For example, light to medium blues work well and are easy to find in most closets. Earth tones are another good choice. • Avoid really bright colors (i.e. bright red, neon orange, hot pink.) You want the attention going to the faces, not the clothing. There are exceptions, of course. It might be great to have a touch of red for an accent color sprinkled throughout the group, particularly if you are using it as an accent color in the room in which the portrait will hang. • With large family groups, you might want to separate sub-family groups by color. For example, everyone wears dark slacks and each sub-family group wears a different colored sweater. 2. Solid colors are best. Muted patterns can work if they blend with other clothing but please, please, please avoid wide, bold stripes, bright plaids, or clothing with big logos on the front. Here is another exception, though. If the whole family just loves the Ducks or the Beavers and the portrait is going in the den with all your team memorabilia, then the team clothing is the perfect choice. 3. Casual clothing, such as slacks and sweaters, gives the photographer more options for a variety of poses. Suits and ties just don’t work well if you are sitting on the ground! 4. Long sleeves are usually preferable, because they create a flowing line. A short sleeve interrupts the flow with a horizontal line across the body. The guys can dress down their button up shirts by rolling the cuffs up. 5. To look slim: We are often asked about this. Wear dark colors with little or no contrast between top and bottom. Your eye is drawn to areas of contrast. If you wear a dark shirt with light pants, where is your eye going to go? Your eye will be drawn to where the two join: which would be your waist or hips. Not good! 6. Avoid photogrey glasses on outdoor portraits! Your optometrist may be able to loan you empty frames or show you how to temporarily remove your lenses. If that is not possible, we may ask you to take your glasses off for a few of the portraits. You would never want a portrait without your glasses on? We understand. We use the “no glasses” images for artwork purposes. 7. Shoes matter and the family portrait is not the time for little Joey to be showing off his cool, glow-in-the dark Nikes. The goal is for the shoes to blend in and disappear. The feet may not show on every image but they will likely show in some. If possible, have everyone wear brown or black shoes. We often go barefoot in the studio! 8. Think about the room in which the portrait will hang. 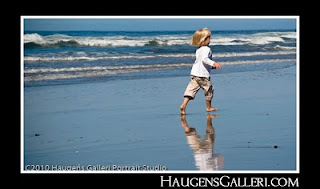 You will want this image or wall grouping to enhance your décor so pick colors that will work in your home. 9. Should the dog be in the portrait? I am happy to photograph dogs, particularly when they are an important part of the family. 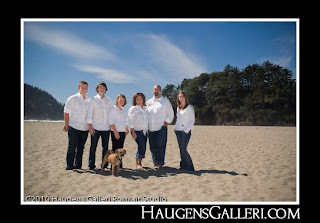 If you are worried about them being uncooperative, we might want to do a few with the dogs and then plan a comfortable place for them to be while we do portraits without them. 10. If Mama ain’t happy, ain’t NOBODY happy. One last word of advice, the mom in the portrait needs to feel good about how she looks in the portrait. She should put on the outfit she is planning to wear and make sure it makes her feel good when she looks in the mirror. The men and the kids are not allowed to complain about the clothes Mama picks out for them. Why? Just tell them I said so. Questions? I am sure you have them. I can help you with any dilemmas that you come up against so be sure to call or send me an email and we can chat about the clothing. 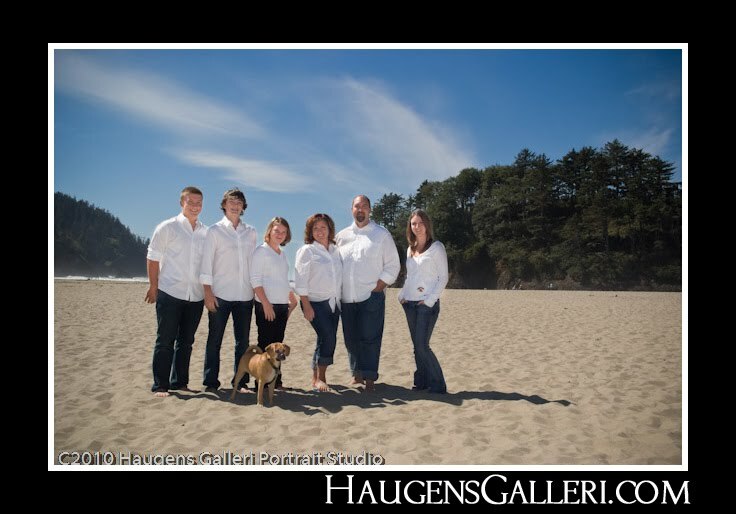 Family Portraits at the Beach- A Perfect Day at Neskowin! 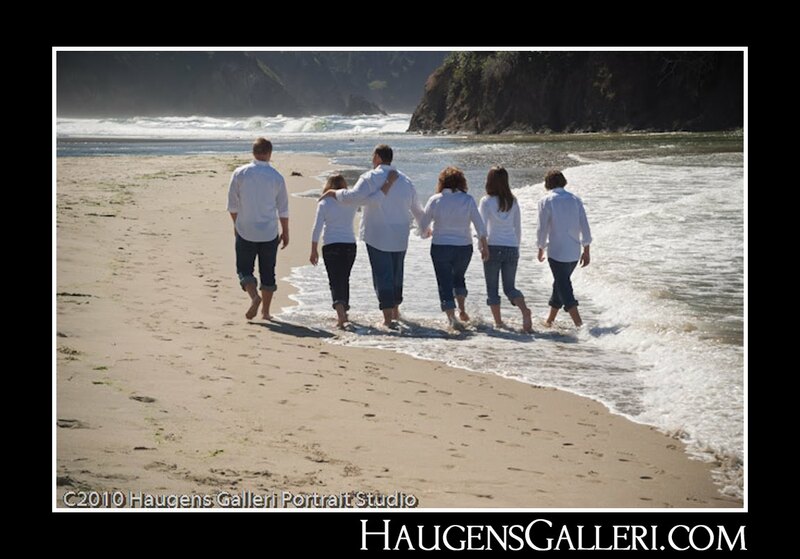 The Oregon Coast doesn't often get this sunny and warm so we were reveling on Saturday! My favorite time is September. There is less chance of rain, fog and wind than at any other time of year. I got a chance to meet the whole Naughton clan and play with Dashiell and Clara. Doesn't get much better than this!